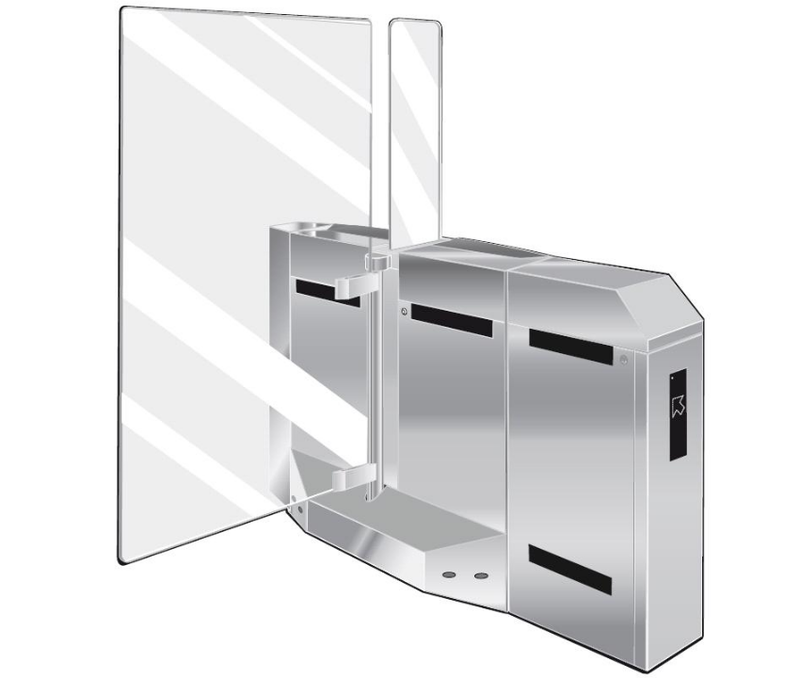 Automatic Systems’ swing gate PMD range is used in conjunction with the PNG security entrance lanes. With he similarity of design allows for an aesthetically-pleasing uniformity when installed together with the PNG. It provides a wider walkway for the evacuation of buildings in the event of an emergency and/or for people with reduced mobility and for services personnel. The PMD 336 is a motorized gate, with a brushed stainless steel housing the same length as the PNG 381, PNG 391 and PNG 391 Twin.